Hi, it's Valerie Serfozo today. 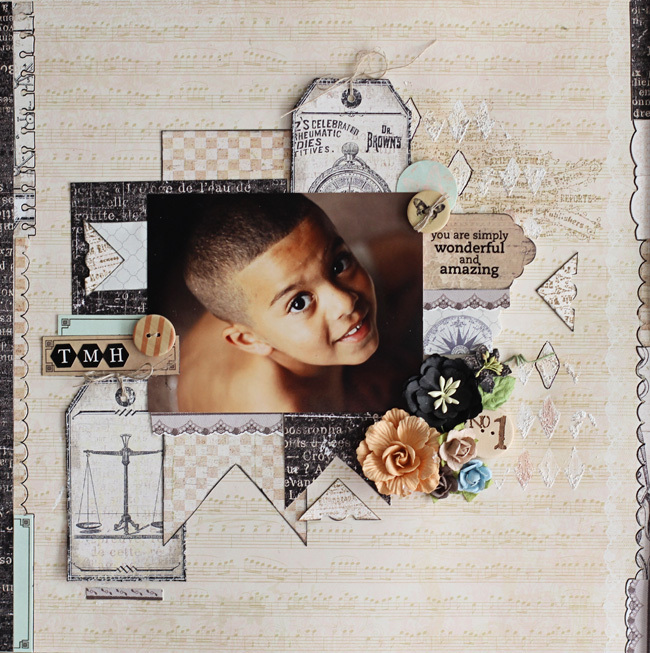 I'm here to share a couple of layouts that I created using the July Kit. For these two layouts, I used the paper from UHK. I really like the combination of black and cream. and her boyfriend prior to the Homecoming Dance last fall. I tried to stick with primarily black and cream, with a little bit of color from the peach tones. 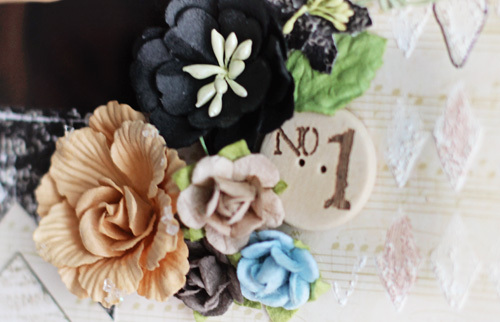 For this layout, I have used paper and embellishments from the July kit, as well as items from the Embellishment and Flower Add-ons. I had the camera in my hand and said, "Hey Trevor". He looked up and I snapped. He really is wonderful and amazing. 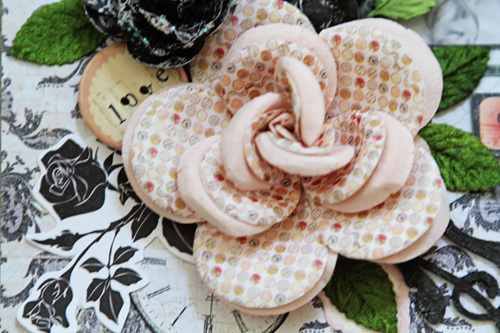 I have used items from the July Kit and both the Embellishment and Flower Add-ons. 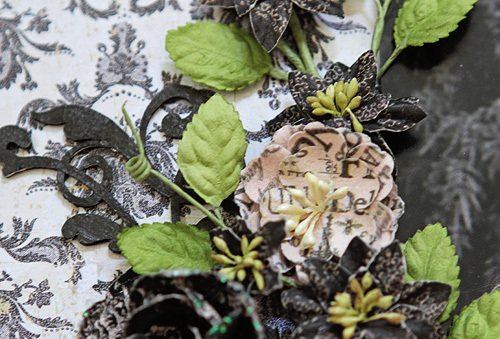 Other items used: EK Notebook edge punch, Martha Stewart White Texture Effect, Dylusions Spray (Melted Chocolate), Distress Ink - Frayed Burlap, Stampin Up Scallop Punch, Le Pen - Marvy Black Pen, Crafters Workshop Mini Harlequin Mask. Be sure to stop by tomorrow when we will announce the winner of the July Bits & Pieces Giveaway! Beautiful work on the LOs!! I love how you put everything together. 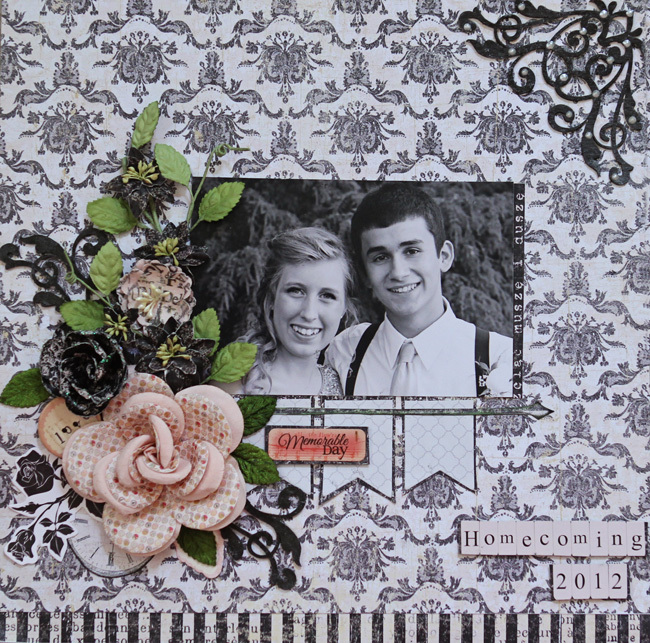 Another Peek at the August Kit w/Erin Blegen! 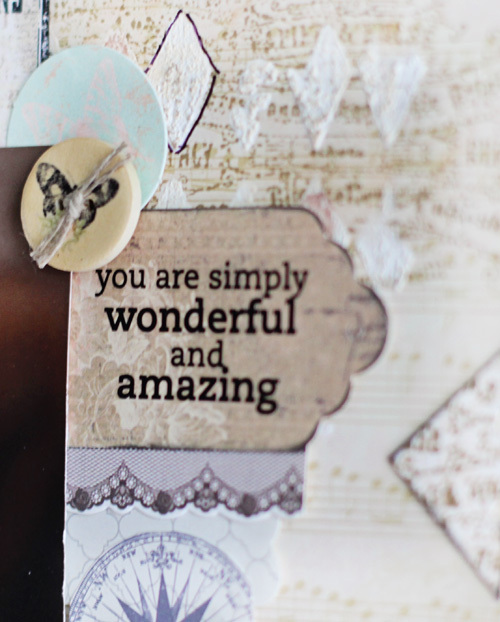 Our July Bits and Pieces Challenge!